Northamptonshire has some fabulous children's party venues. Mr Custard has done magic, disco parties and balloon modelling & is happy to give you his views. Mr and Mrs Custard have both entertained in this lovely venue. In fact they thought it was so good , Mrs Custard performed her magic for Megan their granddaughter when she was a little girl. 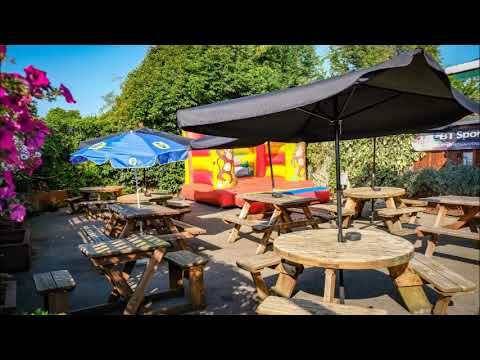 The Community room, as an example, holds 100 people and has a bar & kitchen area and is an ideal venue for parties, christenings, quiz nights & fund raising events as well as an ideal location for corporate/club & group meetings. There is ample FREE parking and all the facilities needed to hold a successful party. Guilsborough Village Hall has A Small Hall: for events with up to 35 people. A Full Hall: for events with a maximum 135 people The Full Hall comprises the Small Hall plus the Large Hall and includes a stage. Kitchen: recently re-equipped with cooker, cupboards, dishwasher, fridge-freezer. The kitchen has serving hatches into the Small and Large Halls. The Village Hall has an alcohol licence that may used for your event (at extra charge and by documented agreement. Other equipment available on request and agreement included a PA system and a projector and screen. ---- Mr Custard has NOT entertained or visited this hall so is unable to give a review at this time.